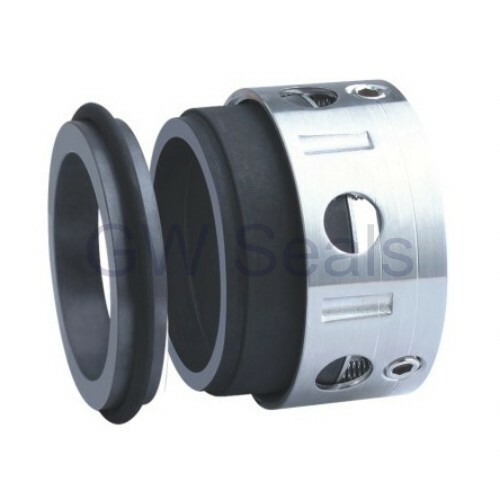 GW8B1 Mechanical seal-multiple spring which are availble in a wide variety of elastomers for handing practically every industril fluid.All components are held togther by a snap ring in a unized construction design and can be repaired easily on-site. mining, chemical plants, water pumps, pharmaceutical factories, refrigeration, power stations, and shipbuilding. 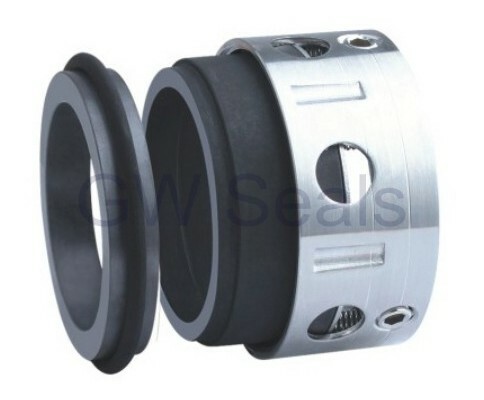 For efficiency of unbalanced seal we use raw materials such as carbon, ceramic, TC, PTFE and so on. 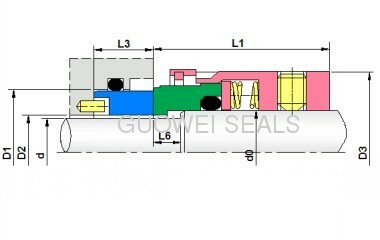 The shaft fretting in the spring unbalanced seal is minimized to lower the spring loads provided through wedge or O rings. Spring unbalanced seals or spring mechanical seal can be easily assembled from dismantled form through circlip. It can be changed to balance version by simply merely by changing the carbon face and can be provided with single, double or tandem arrangement with external seal support systems & devices.